Conveniently located midway between New Bern and Havelock, Falcon Bridge is an emerging community of duplexes and one-story and two-story single family homes. There is still active construction occurring in the community by two of eastern North Carolina’s more progressive builders. 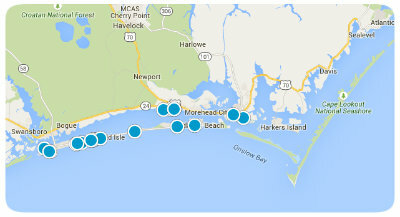 The community is located within the Croatan National Forest and is just five minutes from Flanner’s Beach. It is extremely popular with first-time home buyers and there is a significant military presence among the home owners in the community. The Homeowners’ Association dues provides ALL exterior yard maintenance–mowing all homes’ yards, edging and blowing all sidewalks and driveways, installation of mulch in all homes’ shrubbery beds, and even power washing of each home each year. The home designs are fresh and many include popular upgrades such as cathedral ceilings in living rooms, split bedroom floor plans, gas fireplaces, granite counter tops and kitchen appliances (dishwasher, electric range, microwave oven, refrigerator), security system, dual vanities in the owners’ bathroom, and double walk-in closets. Falcon Bridge is located in Craven County and served by the county water system and New Bern Electric. The area has a New Bern, NC, mailing address. If you’re looking for a place to own a nice home, a place where you can have your “space” yet still be close enough to everywhere, then Falcon Bridge is a must for your consideration as your new home. First Carolina, REALTORS®, has been active in the marketing of homes in the various sections of Craven County, Carteret Count and Pamlico County – from its beginning. 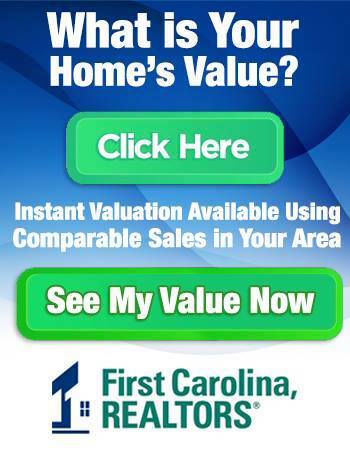 Homes currently available for purchase, and their prices, can be found on the First Carolina, REALTORS®, website.